Luggage tag made of durable leather. 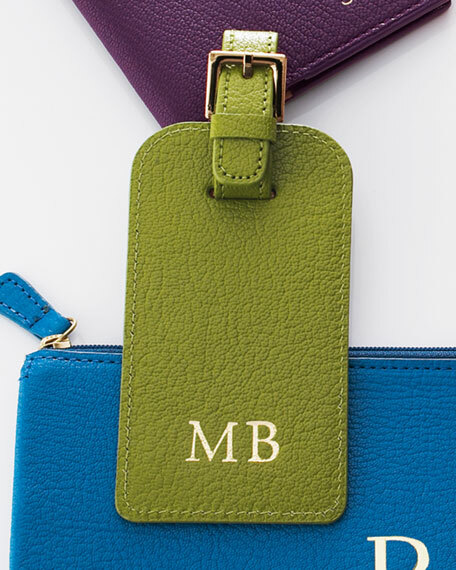 Personalized with up to three initials. For in-store inquiries, use sku #878027.